The 2020 class in Wisconsin is already heating up with potential as spring is just around the corner. Guard prospect Jalen Johnson, out of Sun Prairie, Wisconsin, is one player to keep focus on when the WI Playground Warriors begin play in the coming months as the 6th grade standout brings a combination of size, instincts and a well-rounded skill package to the floor. Johnson showed this winter what he is capable of after playing tremendously in the Generation Next Tip-Off in November as well as a host of strong performances last spring and summer. 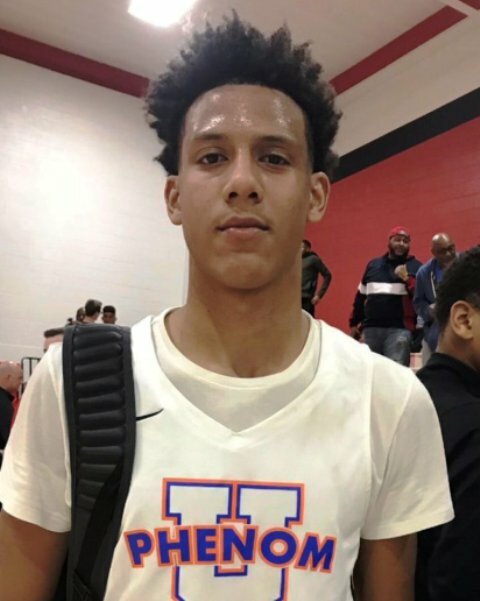 In those tournaments, the 2020 prospect put together multiple double-digit scoring games and pushed his team to several wins, helping them play deep into the playoff brackets in each of those as well as several others. The talented young guard has the ability to play at each level right now because of his size and versatility. At 5-10, Johnson does a great job getting to the rack for baskets where he can finish over most defenders his age. He also does well determining when to pull up for the mid-range floater and has showed capability shooting the ball with good range when open. Handling the basketball, Johnson is strong enough with both hands, but he continues to improve with his off-hand more and more each time he comes out to compete. With that though, he creates a mismatch for many opponents because of his size and quickness up top where he is able to blow past guys with good burst and then see over many defenders to get cleaner looks at the hoop or find open teammates. In transition, Johnson is nearly unstoppable one-on-one because of his athleticism and ability to finish through contact already. Defensively, again the 5-10 guard’s size comes into play where he can disrupt vision and passes with his length up top and his instincts are getting better as well. He is starting to read opponents more and read position on the floor to attack passing lanes and put himself in proper position to out-rebound the other team. Johnson is becoming an explosive young athlete with a strong skill set that makes him a matchup nightmare for a lot of teams. As he continues to improve his confidence with both hands offensively and develop the outside shot into a consistent threat, his ceiling keeps expanding and he should be a prospect that draws a ton of attention moving forward.